A landmark year, too, with Nina Davuluri becoming Miss America. WASHINGTON, DC: Indian American entertainers hit a purple patch in 2013, with a lot of them getting into the news for their success. Waris Ahluwalia became the face of Gap’s holiday season ad campaign this year, becoming the first Sikh to ever headline such a campaign for any clothing retailer in the US. The ad drew huge amount of praise from the Sikh Diaspora throughout America. Gap received thousands of tweets in support of the ad, with many Sikhs saying that it helps give younger and future generations a positive message in the wake of so many anti-Sikh crimes that have plagued the country in recent times. Not all were pleased with the ad, however. A Gap billboard in New York City featuring Ahluwalia was defaced with racist graffiti, that said “Please stop driving taxis” and, instead of “Make love,” which is Gap’s current tagline, the vandals wrote “Make bombs.” The company promptly responded by changing their Twitter profile from a blank white background to the image of Ahluwalia on the advertisement. Additionally, Ahluwalia is an actor, who most will likely remember from the 2007 Wes Anderson filmThe Darjeeling Limited. He also had a brief role in the 2006 Spike Lee film Inside Man, in which he shared scenes with screen legend Denzel Washington and is well-remembered for a scene in which he passionately defends his wearing of a turban to those around him who make fun of it. Ansari had an eventful 2013. He released a Netflix-exclusive comedy special entitled “Buried Alive” which was met with rapturous acclaim from critics and audiences, he co-starred in the hit summer comedy This is the End, and he bought a house in Los Feliz earlier this month for $2.7 million. But Ansari’s biggest accomplishment of 2013 was netting a $3.5 million publishing deal with Penguin Press, the second-highest deal ever offered to a TV star (Ansari is still a co-star on NBC’s “Parks and Recreation”). Ansari is said to be working on a book about the modern dating scene; specifically, how the dynamic of singles looking for love has changed in a world of texting and social media. The book will be nonfiction, and Ansari will consult with top academics and conduct his own research to supplement the book. Ansari’s book is expected to hit shelves in September of 2015. On September 15th, Nina Davuluri became the first–ever woman of Indian origin to win the title of Miss America. Her victory was hailed as a breakthrough for both Indians and Americans, who took it as a sign that the US is now a post-racial society. But her victory also had its detractors; some were obvious, like bigots in the US who said things along the lines of “it’s Miss America, not Miss Middle East” or “why did they give the crown to a terrorist,” but some of the backlash against her came from India, too. Several Indians decried Davuluri’s winning the title of Miss America, saying that her complexion was too dark and therefore she was unworthy of winning a beauty pageant. Social media exploded in the following week, with many people coming to Davuluri’s side and saying (quite correctly) that skin color and complexion should not be the sole deciding factor in whether or not a person is beautiful. Davuluri, whose parents hail from Andhra Pradesh, displayed poise and confidence throughout, never once letting the comments get under her skin. An accomplished dancer and aspiring physician, Davuluri knows exactly where she wants to go in life, and won’t let anything get in her way. Hopefully her victory and her attitude pave the way for more strong young desi women in the future. Now that NBC’s “The Office” is officially off the air, Mindy Kaling has been able to devote all her time to her FOX sitcom, “The Mindy Project,” the first American television show ever headlined by an Indian American. Her commitment has paid off, with the show becoming a runaway success since its 2012 debut. In March, ratings were so good that FOX renewed the show for a second season. “The Mindy Project” is currently in its second season intermission break, and will return to TV on April 1, 2014. 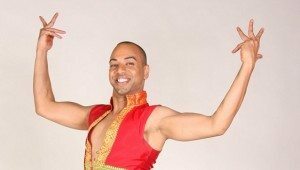 Nakul Dev Mahajan, known for his work on the hit FOX TV show “So You Think You Can Dance?” was at the White House for Diwali this year and even taught First Lady Michelle Obama some Bollywood dance moves. The First Lady – a self-proclaimed fan of the TV show – specifically singled him out for teaching her and a group of children some basic Bollywood dancing, saying it was the first time such a lesson had ever happened in the White House State Room. Mahajan was also the choreographer behind Miss America Nina Davuluri’s dance that she performed during the talent segment of the pageant. Mahajan incorporated several different styles of dance into the routine, which blew away judges and audiences alike with its energy and intricacy. Raised in California, Mahajan opened NDM Bollywood Dance Productions and Studios in 2003, the first dance school ever in the US dedicated solely to Bollywood dancing. He graduated from the University of California, Riverside, in 2002 with a degree in Sociology and Dance. He is arguably the most well-known Bollywood choreographer in the US. 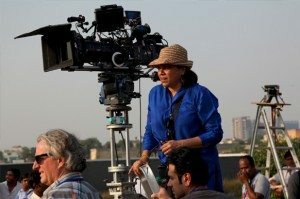 Indian American filmmaker Mira Nair hasn’t had a bona fide hit in years, but she released her highest profile movie in some time in 2013, The Reluctant Fundamentalist. Adapted from the novel by Mohsin Hamid, the film tells of a Pakistani immigrant living in America who may or may not be involved with a terrorist group looking to execute an attack on American soil. The film stars British actor Riz Ahmed alongside several big-name Hollywood actors, including Oscar-nominee Kat Hudson, Kiefer Sutherland, Liev Schreiber, and Indian actor Om Puri. The film garnered slightly positive reviews during its tour of film festivals early in the year, and Nair herself picked up a few awards; most notably, she won the German Film Award for Peace, and the Century Award at the International Film Festival of India. The Reluctant Fundamentalist bombed at the box office, however, making just over $2 million from a budget north of $15 million. 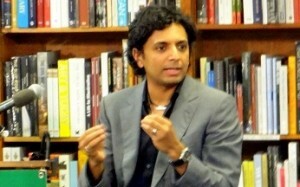 Writer/Director M. Night Shyamalan had an unusual year – rather than release only a movie, the Academy Award-nominee also released a book he wrote about the broken American education system. The book, entitled “I Got Schooled: The Unlikely Story of How a Moonlighting Movie Maker Learned the Five Keys to Closing America’s Education Gap,” released in November to good reviews. Shyamalan used the book as a way to explore what’s wrong with public education in the US, and try to create a paradigm to fix it. Over the summer, Shyamalan released his latest theatrical film, After Earth, starring Will Smith and his son, Jaden Smith. The film, which tells the story of a father and son in the distant future who crash-land on a now-abandoned planet Earth and must fight to survive, was panned by critics, continuing Shyamalan’s critical cold streak. The movie did average business at the box office, grossing just over $243 million worldwide from a production budget of around $130 million. 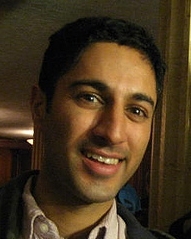 Maulik Pancholy was cast as one of the two lead voices in “Sanjay and Craig,” a new Nickelodeon cartoon show which launched in 2013. Pancholy voices a 12 year-old boy named Sanjay Patel, who goes on adventures with his best friend, a talking snake named Craig. The show proved to be a hit, with Nickelodeon ordering a second season that is due out in 2014. It is the first American children’s cartoon to be headlined solely by an Indian character. While other shows have had Indian characters on them – most notably, the 1960s cartoon series “Johnny Quest” – “Sanjay and Craig” is the first to have one as the lead character. In November of this year, Pancholy came out of the closet, announcing that he is gay and has been in a relationship for nine years. He came out during an interview with Out Magazine. Perhaps best known for his recurring role on the NBC sitcom “30 Rock,” Pancholy is a graduate of the Yale School of Drama. He majored in theater at Northwestern in 1995. He can be seen in hit movies like Hitch and 27 Dresses. 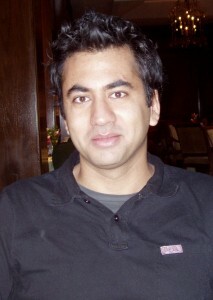 Mostly known for his role in the “Harold and Kumar” film trilogy, Kal Penn has spent the past several years making a name for himself in the political arena. This year, President Barack Obama appointed Penn to his second administrative position; this time, as a member of the Committee on the Arts and Humanities. Penn was one of several nominations announced by Obama in November. He was previously part of the White House Office of Public Engagement. He also played a significant role during Obama’s 2012 re-election run, being appointed as the campaign’s co-chair. He also co-hosted the official coverage of the 2012 Democratic National Convention in Charlotte, North Carolina. The half-Indian, half-Polish Danny Pudi is best known as Abed Nadir on the NBC sitcom “Community,” which currently enjoys high ratings and for which Pudi has received rave reviews. The 39 year-old will be seen in Community when it returns for its fifth season on January 2, 2014. The fourth season, which aired during 2013, received good reviews, with several critics singling out Pudi as one of the highlights of the show. A native of Illinois, Pudi graduated from Marquette University in 2001 with a degree in communications and theatre. He is married and his wife gave birth to twins last year.